TM today has revealed that the company will be making what seems to be a significant announcement on 8 June. It is rather hard to tell or even guess the nature of the announcement though since the only hint given by today’s revelation by TM is a picture of an onion that was posted on various social media channels belonged to the company. 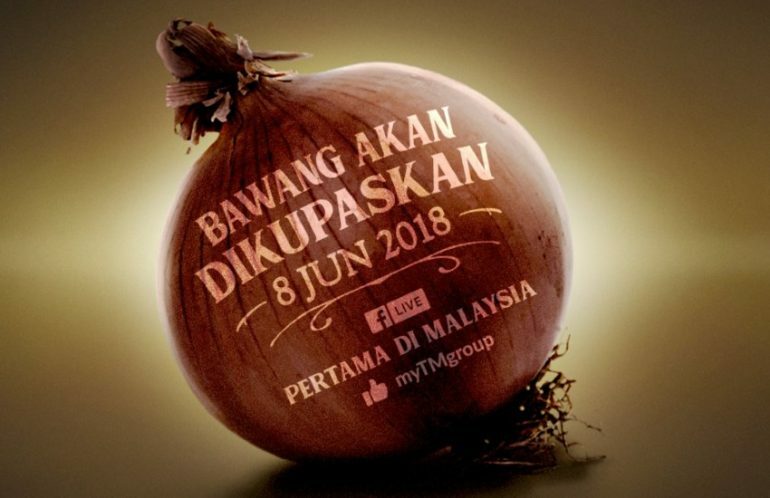 Inside the picture, there is also a text in Bahasa Malaysia which translates to “the onion will be peeled on 8 June 2018,”. The only other hint that TM has included alongside the image is the #JanganMembawang hashtag which seems to be inspired or related to its recent anti-fake news #FITNET campaign. Bawang akan dikupaskan pada 8 Jun ini…. Ada sesuatu yang kami ingin kongsikan dengan anda semua, tapi bukan sekarang. Bertabahlah, masanya akan tiba. Like dan follow page myTMgroup sekarang, sebelum terlambat! There is also a sign within the picture that the announcement will be shown live through TM Group’s Facebook page on the said date. Additionally, it will also involves something that is said to be the first of its kind in Malaysia. Given the intriguing teaser, guess we have to wait until 8 June to find out what is it all about. Let’s hope it is really something that worth the hype.